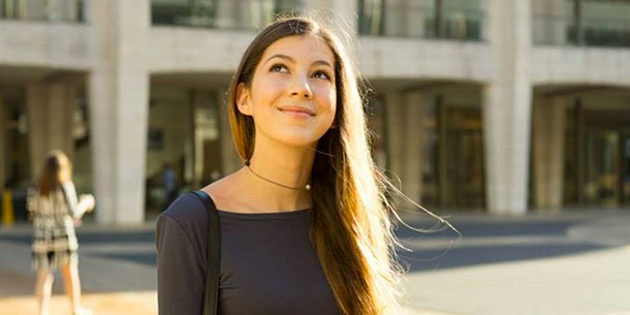 17 Year Old Gets Her CPA License, What Are You Doing? In life, there is always going to be someone better than you. Better at work, sports, love, hobbies, cooking, traveled more places, made more money, etc. There’s only a few people in the world that are the best at what they do. And they too will soon be surpassed any day. And now, the CPA exam. Yes, 17 year old Belicia Cespedes has passed the CPA exam. I get inspired by these things. It shows me just how limiting I can be on myself. This young woman not only passed the exam at 17, she has 2 years of work experience and her license!!! That’s a year before most people start college! Ya, I didn’t have the privilege of being homeschooled and graduating high school at age 11, but so what? These type of stories remind me that I am the biggest impediment in my next BIG goal. I am wrong when I allow limiting thoughts to enter my brain because yes, a 17 year old did something that I thought was cool do do at 21. That which is possible for one man or woman is possible for another. I’m not saying to disregard your personal, mental, or physical limitations. I’ll never be a professional golfer as I wanted as a teenager. I’ll never be an architect as I wanted when I was a young boy. I realized by the age of 7 I couldn’t do much passed stick figures when it comes to drawing. But that’s not the same as complaining, making excuses, and whining about something as straightforward as the CPA exam. I hesitate even saying that I was working 40 hours a week (with a commute), taking 12 credit hours of class (plus homework), and had a girlfriend that didn’t leave me when I passed the CPA exam in 7 months. But yes, while I thought I was cool, there is a young 17 year old girl that has completely CRUSHED ME. Makes me think, what can you do next that you own mind has held you back from? Passing the exam… Graduating… a new job… a higher GPA… A promotion? Every day is chance to make your next big courageous leap. What’s yours going to be? 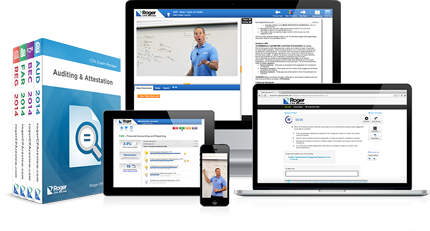 Sign up for the Roger CPA Course Giveaway Now! Robert – I’m not certain, I got the picture from an AICPA page. Based on my research, I can’t tell. Let us know what you find out!